Trusty favorites with a new twist. Unearthed and revived old glazes that I haven’t used in years. Believe it or not, this is just one glaze. 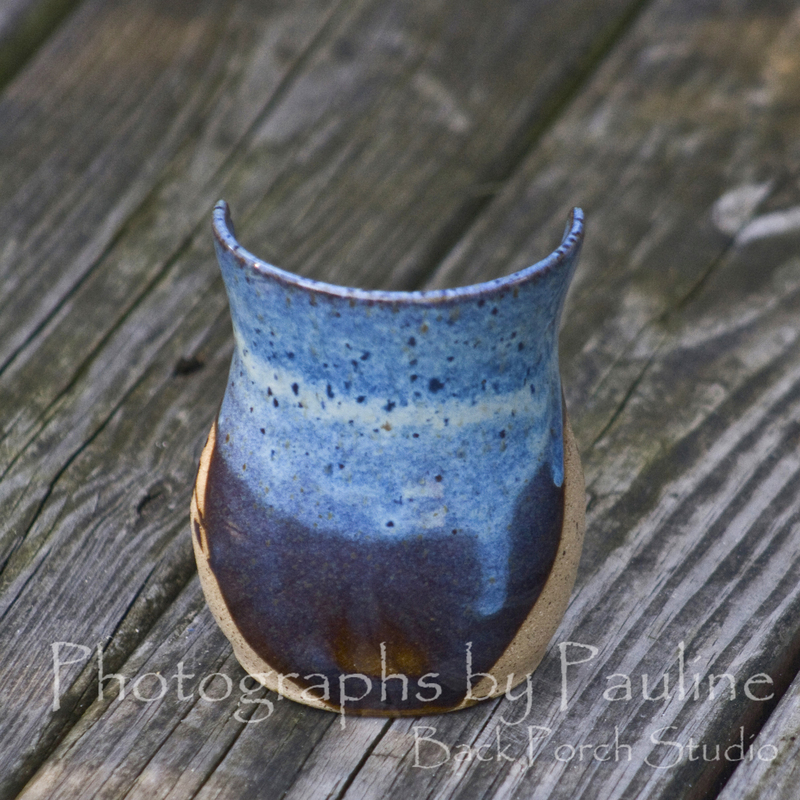 It is Rutile Blue; my all time favorite until I started having trouble with pitting. It is a very thick glaze by nature. Instead of thinning with water, I added a gum solution for a more even application and less pitting. 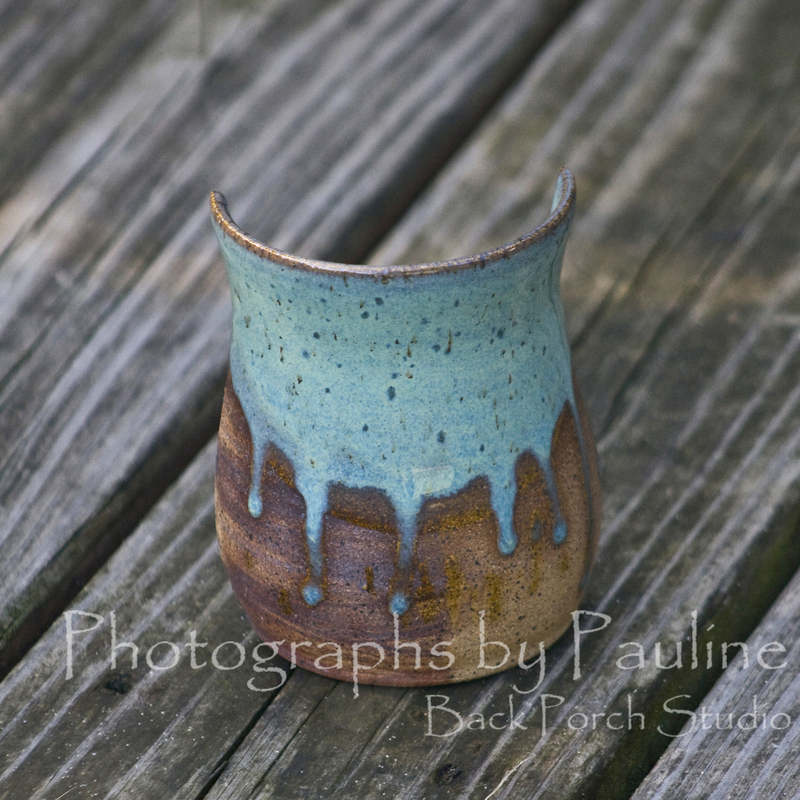 It is a fun glaze for layering. The dark purples are the result of one application. The more layering, the more brilliant blues appear. I revived the almost dried out Shino by adding a gum solution and water. 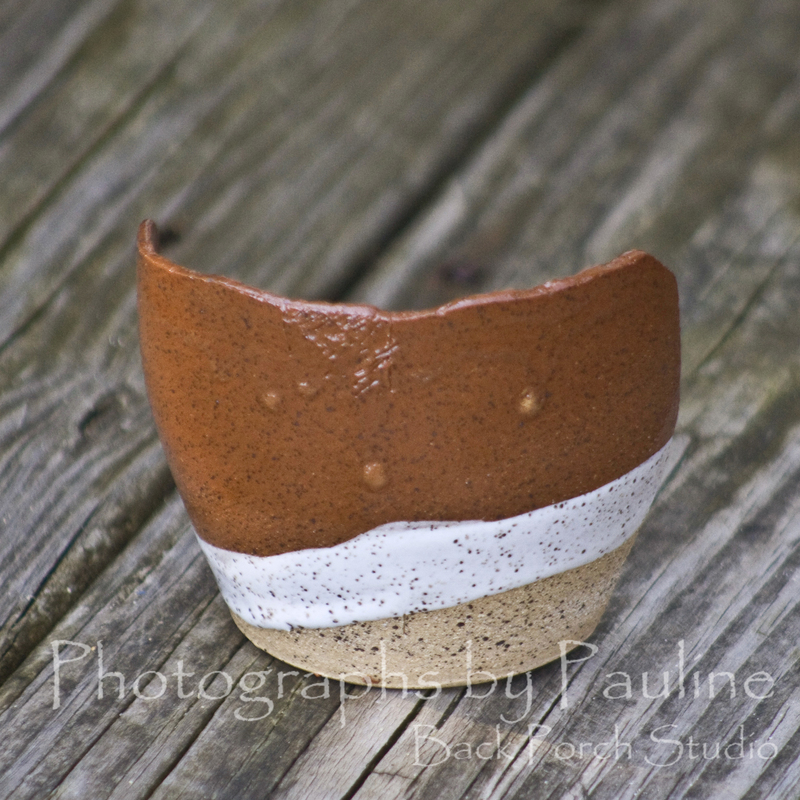 Love the results with the white glaze. 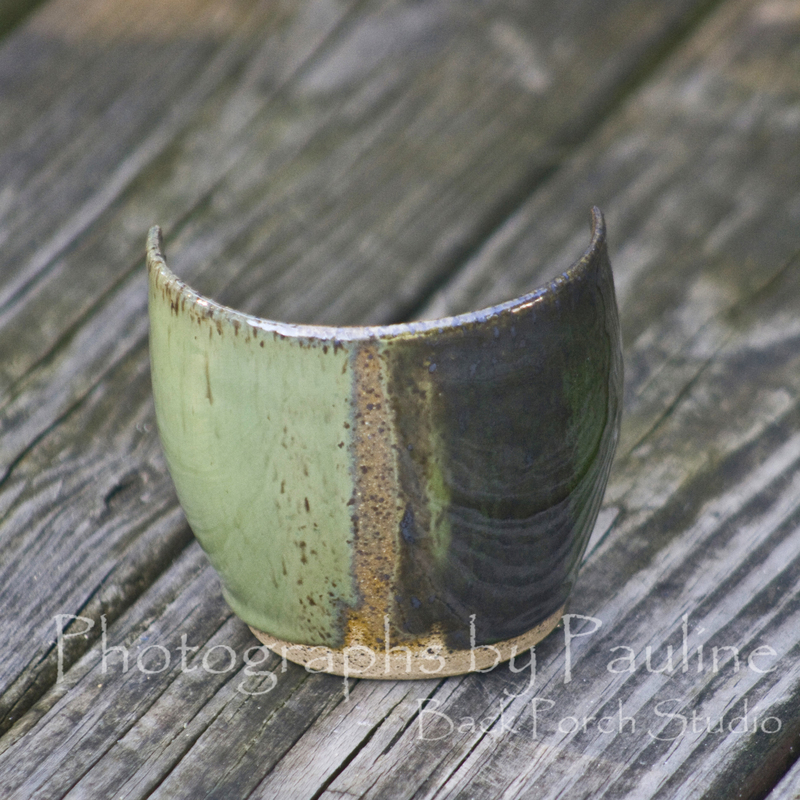 I unearthed these two glazes: Lustrous Jade (left) and Sea Weed (right). I think these two go well together! I made some pieces that I thought the Turquoise and Red Iron Oxide combination would look fabulous. I made a test tile to see whether or not I would like the results. I LOVE IT! This combination will be perfect for those pieces! So, that is what the glaze is going on around here!